Warm White or Cool White. Which White should you choose? Home Warm White or Cool White. Which White should you choose? We often get asked which type of LED lighting to choose. Whether it's for LED Strips or LED bulbs, we have three types of whites available: Warm White, that generates around 3000 Kelvin Degrees (3000K), Natural White that generates around 4500Kelvin degrees (4500K) and Cool White that generates between 5000 and 6000 Kelvin Degrees (5000-6000K). Warm White is a yellowish that resembles a traditional incandescent or halogen light. 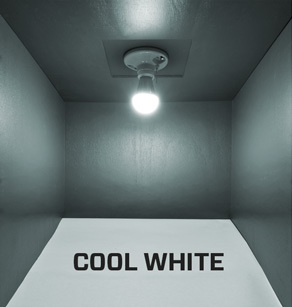 Cool White on its side, leans towards shades of blue and more like the light you would get from a neon. Although we all perceive light in a different way and personal tastes vary, there are some scenarios where most people agree on the most appropriate lighting type.